An earnest money deposit is a deposit made to a real estate seller at the time of an offer. It is made to show that a buyer has good faith while searching for financing. Usually, this money is held jointly by the buyer and seller in an escrow or trust account. In general, it should not be made payable directly to the seller, but to the broker or attorney who holds the escrow or trust account. If an offer is accepted on a piece of real estate, the earnest money deposit will go towards the buyer's down payment. However, if the seller does not accept the offer, the deposit is returned to the prospective buyer. The Boston real estate attorneys at Pulgini & Norton understand the rules that apply to earnest money deposits and can advise buyers and sellers on the process. An earnest money deposit is not required for a valid contract, but it is customary. A buyer risks losing the earnest money deposit by failing to understand how important the loan commitment date specified in the purchase and sale agreement is. Often, the earnest money deposit is 5% of the home's purchase price. For example, if the home is $300,000, a buyer may need to put down $15,000. Usually, this deposit will be split, so that a portion is put down with the offer and the balance is given at the time of the purchase and sale agreement. Under Massachusetts broker license law, the earnest money and other money from a customer is to be deposited in a separate bank account, outside the reach of the broker's creditors. In some cases, buyers or sellers can request that this money go into an interest-bearing account. The purchase and sale agreement should specify this and indicate to whom the interest will be paid. Once a purchase contract is signed, a buyer of real estate becomes an equitable owner. This gives the buyer the right to become an owner. Often, Massachusetts contracts include a liquidated damages clause, which allows a seller to retain the earnest money deposit as liquidated damages if the buyer defaults. Why would a buyer agree to this? A liquidated damages clause related to an earnest money deposit can be beneficial to a buyer because it prescribes a specific limitation to the damages that the seller can recover in case the buyer cannot find a lender, or something else falls through for the buyer. The language in the liquidated damages clause will spell out the scope of the liquidated damages. It may limit the seller to keeping the earnest money deposit, or it may permit the seller to pursue other damages in addition to keeping the deposit. The language may allow the deposit to be split between the broker and the seller. However, if there is no liquidated damages clause, the seller will not be allowed to keep the deposit as liquidated damages. Moreover, the amount of the earnest money deposit should not serve as a penalty, but simply an approximation of what the damages would be if the buyer defaulted. The court may not allow the seller to take the full amount as liquidated damages if it is excessive. 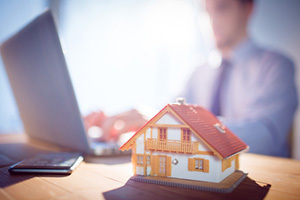 When you buy a home, it is important to be aware of the loan commitment date and to understand the purpose of an earnest money deposit, as well as the consequences of failing to abide by the terms of the contract for a home purchase or sale. The Boston real estate attorneys at Pulgini & Norton advise and represent individuals in Hyde Park, Quincy, Cambridge, and other cities in Massachusetts. Call us at 781-843-2200 or contact us via our online form for a free consultation.